In addition to exploring our extensive Sample Accounting Resumes and Sample Accounting Job Descriptions, you can also browse our Accounting Terms Guide. Whether you're fresh out of school or an executive in need of a definition, our terminology guide will provide you sufficient information regarding the accounting terms and definitions. AccountingJobsToday.com is always interested in keeping our Accounting Terms Guide current and up to date. If we are missing something please submit us your terms and we will add it to our list right away. A Misstatement is Inconsequential - If a reasonable person would conclude after considering the possibility of further undetected misstatements that the misstatement either individually or when aggregated with other misstatements would clearly be immaterial to the financial statements. If a reasonable person could not reach such a conclusion regarding a particular misstatement, that misstatement is more than inconsequential. Account - Formal record that represents, in words, money or other unit of measurement, certain resources, claims to such resources, transactions or other events that result in changes to those resources and claims. Account Payable - Amount owed to a CREDITOR for delivered goods or completed services. Account Receivable - Claim against a DEBTOR for an uncollected amount, generally from a completed transaction of sales or services rendered. Accountable Plan - An accountable plan is any reimbursement or other expense allowance arrangement of an employer that meets all of the following requirements (therefore excluding it from gross w-2 earned income and tax): (1) it provides reimbursements advances or allowances including per diem and meals, to employees for any job related deductible business expense; (2) employees must be able to substantiate expenses covered in the plan; (3) employee must return any excess advances or payments. Accounting - Recording and reporting of financial transactions, including the origination of the transaction, its recognition, processing, and summarization in the FINANCIAL STATEMENTS. Accounting Change - Change in (1) an accounting principle; (2) an accounting estimate; or (3) the reporting entity that necessitates DISCLOSURE and explanation in published financial reports. Accounting Principles Board (APB) - Senior technical committee of the AMERICAN INSTITUTE OF CERTIFIED PUBLIC ACCOUNTANTS (AICPA) which issued pronouncements on accounting principles from 1959-1973. The APB was replaced by the FINANCIAL ACCOUNTING STANDARDS BOARD (FASB). Accrual Basis - Method of ACCOUNTING that recognizes REVENUE when earned, rather than when collected. Expenses are recognized when incurred rather than when paid. Accumulated Depreciation - Total DEPRECIATION pertaining to an ASSET or group of assets from the time the assets were placed in services until the date of the FINANCIAL STATEMENT or tax return. This total is the CONTRA ACCOUNT to the related asset account. Additional Paid in Capital - Amounts paid for stock in excess of its PAR VALUE or STATED VALUE. Also, other amounts paid by stockholders and charged to EQUITY ACCOUNTS other than CAPITAL STOCK. Adjusted Basis - After a taxpayer's basis in property is determined, it must be adjusted upward to include any additions of capital to the property and reduced by any returns of capital to the taxpayer. Additions might include improvements to the property and subtractions may include depreciation or depletion. A taxpayer's adjusted basis in property is deducted from the amount realized to find the gain or loss on sale or disposition. Adjusted Gross Income - Gross income reduced by business and other specified expenses of individual taxpayers. The amount of adjusted gross income affects the extent to which medical expenses, non business casualty and theft losses and charitable contributions may be deductible. It is also an important figure in the basis of many other individual planning issues as well as a key line item on the IRS form 1040 and required state forms. Adverse Opinion - Expression of an opinion in an AUDITORS' REPORT which states that FINANCIAL STATEMENTS do not fairly present the financial position, results of operations and cash flows in conformity with GENERALLY ACCEPTED ACCOUNTING PRINCIPLES (GAAP). The auditor will issue an adverse opinion when there is an existence of a material weakness on the effectiveness of internal control over financial reporting. Affiliated Company - Company, or other organization related through common ownership, common control of management or owners, or through some other control mechanism, such as a long-term LEASE. Agreed-Upon Procedures Report - See ACCOUNTANTS' REPORT. AICPA - See AMERICAN INSTITUTE OF CERTIFIED PUBLIC ACCOUNTANTS. Alternative Dispute Resolution - An alternative to formal litigation which includes techniques such as arbitration, mediation, and a non-binding summary jury trial. Alternative Minimum Tax (AMT) - Tax imposed to back up the regular income tax imposed on CORPORATION and individuals to assure that taxpayers with economically measured income exceeding certain thresholds pay at least some income tax. American Depository Receipts (ADRs) - Receipts for shares of foreign company stock maintained by an intermediary indicating ownership. American Institute of Certified Public Accountants (AICPA) - National professional membership organization that represents practicing CERTIFIED PUBLIC ACCOUNTANTS (CPAs). The AICPA establishes ethical and auditing standards as well as standards for other services performed by its members. Through committees, it develops guidance for specialized industries. It participates with the FINANCIAL ACCOUNTING STANDARDS BOARD (FASB) and the GOVERNMENT ACCOUNTING STANDARDS BOARD (GASB) in establishing accounting principles. Amortization - Gradual and periodic reduction of any amount, such as the periodic writedown of a BOND premium, the cost of an intangible ASSET or periodic payment Of MORTGAGES or other DEBT. Analytical Procedures - Substantive tests of financial information which examine relationships among data as a means of obtaining evidence. Such procedures include: (1) comparison of financial information with information of comparable prior periods; (2) comparison of financial information with anticipated results (e.g., forecasts); (3) study of relationships between elements of financial information that should conform to predictable patterns based on the entity's experience; (4) comparison of financial information with industry norms. Annual Report - Report to the stockholders of a company which includes the company's annual, audited BALANCE SHEET and related statements of earnings, stockholders' or owners' equity and cash flows, as well as other financial and business information. Annuity - Series of payments, usually payable at specified time intervals. Anti-dilution - Condition that may increase the computation of EARNINGS PER SHARE (EPS) or decrease loss per share solely because of the inclusion of COMMON STOCK equivalents, such as STOCK OPTIONS, WARRANTS, convertible DEBT or convertible PREFERRED STOCK, nomination or selection of the independent AUDITORs. Assembly of Financial Statements - The providing of various accounting or data-processing services by an accountant, the output of which is in the form of financial statements ostensibly to be used solely for internal management purposes. Assertion - Explicit or implicit representations by an entity's management that are embodied in financial statement components and for which the AUDITOR obtains and evaluates evidential matter when forming his or her opinion on the entity's financial statements. Asset - An economic resource that is expected to be of benefit in the future. Probable future economic benefits obtained as a result of past transactions or events. Anything of value to which the firm has a legal claim. Any owned tangible or intangible object having economic value useful to the owner. Audit Engagement - Agreement between a CPA firm and its client to perform an AUDIT. Audit Risk - The risk that the AUDITOR may unknowingly fail to modify appropriately his or her opinion on financial statements that are materially misstated. Audit Sampling - Application of an AUDIT procedure to less than 100% of the items within an account BALANCE or class of transactions for the purpose of evaluating some characteristic of the balance or class. Auditing Standards - Guidelines to which an AUDITOR adheres. Auditing standards encompass the auditor's professional qualities, as well as his or her judgment in performing an AUDIT and in preparing the AUDITORS' REPORT. Audits conducted by independent CERTIFIED PUBLIC ACCOUNTANT (CPA) usually in accordance with GENERALLY ACCEPTED AUDITING STANDARDS (GAAS), which consist of standards approved and adopted by the membership of the AMERICAN INSTITUTE OF CERTIFIED PUBLIC ACCOUNTANTS (AICPA). Auditor - Person who AUDITS financial accounts and records kept by others. Includes both public accounting firms registered with the PCAOB and associated persons thereof. Backup Withholding - Payors of interest, dividends and other reportable payments must withhold income tax equal at a rate equal to the fourth lowest rate applicable to single filers if they fail to supply a federal id # or if they fail to certify that they are not subject to it. Bad Debt - All or portion of an ACCOUNT, loan, or note receivable considered to be uncollectible. Balance - Sum of DEBIT entries minus the SUM of CREDIT entries in an ACCOUNT. If positive, the difference is called a DEBIT BALANCE; if negative, a CREDIT BALANCE. Balance Sheet - Basic FINANCIAL STATEMENT, usually accompanied by appropriate DISCLOSURES that describe the basis of ACCOUNTING used in its preparation and presentation of a specified date the entity's ASSETS, LIABILITIES and the EQUITY of its owners. Also known as a STATEMENT OF FINANCIAL CONDITION. Bankruptcy - Legal process, governed by federal statute, whereby the DEBTS of an insolvent person are liquidated after being satisfied to the greatest extent possible by the DEBTOR'S ASSETS. During bankruptcy, the debtor's assets are held and managed by a court appointed TRUSTEE. Bequest - A gift by will of personal property. If the bequest is money to the extent it is paid out of income from property it is taxable to the recipient. Generally bequest value is fair market at the date of the decedent's death. Blue Sky Laws - State laws that regulate the ISSUANCE of SECURITIES. These laws are coordinated with federal acts. Bond - One type of long-term PROMISSORY NOTE, frequently issued to the public as a SECURITY regulated under federal securities laws or state BLUE SKY LAWS. Bonds can either be registered in the owner's name or are issued as bearer instruments. Book Value - Amount, net or CONTRA ACCOUNT balances, that an ASSET or LIABILITY shows on the BALANCE SHEET of a company. Also known as CARRYING VALUE. Boot - The no technical term used by some to describe any cash or other property that is received in exchange of property that would be otherwise nontaxable. Budget - Financial plan that serves as an estimate of future cost, REVENUES or both. Business Combinations - Combining of two entities. Under the PURCHASE METHOD OF ACCOUNTING, one entity is deemed to acquire another and there is a new basis of accounting for the ASSETS and LIABILITIES of the acquired company. In a POOLING OF INTERESTS, two entities merge through an exchange of COMMON STOCK and there is no change in the CARRYING VALUE of the assets or liabilities. Business Segment - Any division of an organization authorized to operate, within prescribed or otherwise established limitations, under substantial control by its own management. Cafeteria Plan - A benefit plan maintained by an employer for the benefit of the employees under which each participant has the opportunity to select the benefits they desire. Certain minimum choices and nondiscriminatory rules apply. Call Loan - Loan repayable on demand. Also known as DEMAND LOAN. Callable Instrument - BOND which accords an issuer the right to redemption before it is due. Cap - To limit. Capital - ASSETS intended to further production. The amount invested in a PROPRIETORSHIP, PARTNERSHIP, or CORPORATION by its owners. Capital Gain - Portion of the total GAIN recognized on the sale or exchange of a noninventory asset which is not taxed as ORDINARY INCOME. Capital gains have historically been taxed at a lower rate than ordinary income. Capital Stock - Ownership shares of a CORPORATION authorized by its ARTICLES OF INCORPORATION. The money value assigned to a corporation's issued shares. The BALANCE SHEET account with the aggregate amount of the PAR VALUE or STATED VALUE of all stock issued by a corporation. Capitalized Cost - Expenditure identified with goods or services acquired and measured by the amount of cash paid or the market value of other property, CAPITAL STOCK, or services surrendered. Expenditures that are written off during two or more accounting periods. Capitalized Interest - INTEREST cost incurred during the time necessary to bring an ASSET to the condition and location for its intended use and included as part of the HISTORICAL COST of acquiring the asset. Capitalized Lease - LEASE recorded as an ASSET acquisition accompanied by a corresponding LIABILITY by the LESSEE. Capital Projects Funds - Funds used by a not-for-profit organization to account for all resources used for the development of a land improvement or building addition or renovation. Carrying Value - Amount, net or CONTRA ACCOUNT balances, that an ASSET or LIABILITY shows on the BALANCE SHEET of a company. Also known as BOOK VALUE. Carryovers - Provision of tax law that allows current losses or certain tax credits to be utilized in the tax returns of future periods. Cash Equivalents - Short-term (generally less than three months), highly liquid INVESTMENTS that are convertible to known amounts of cash. Cash Flows - Net of cash receipts and cash disbursements relating to a particular activity during a specified accounting period. Casualty Loss - Any loss of an asset due to fire storm act of nature causing asset damage from unexpected or accidental force. Generally it is deductible regardless of whether it is business or personal. Certificate of Deposit (CD) - Formal instrument issued by a bank upon the deposit of funds which may not be withdrawn for a specified time period. Typically, an early withdrawal will incur a penalty. Certified Financial Planner (CFP) - Individual who is trained to develop and implement financial plans for individuals, businesses, and organizations, utilizing knowledge of income and estate tax, investments, risk management analysis and retirement planning. CFPs are certified after completing a series of requirements that include education, experience, ethics and an exam. CFPs are not regulated by a governmental authority. Certified Internal Auditor (CIA) - Internal AUDITOR who has satisfied the examination requirements of the Institute of Internal Auditors. Certified Management Accountant (CMA) - An accreditation conferred by the Institute of Management Accountants that indicates the designee has passed an examination and attained certain levels of education and experience in the practice of accounting in the private sector. CFP - See CERTIFIED FINANCIAL PLANNER. CIA - See CERTIFIED INTERNAL AUDITOR. Claim for Refund - A refund is not automatically mailed if one is due. A taxpayer, whether business or individual, must file a request on a form. It must also be filed within the timeframe allotted or the refund may be lost. An individual can claim a refund back to whatever year it was due but it will only be paid three years back or less. Clean Opinion - AUDIT opinion not qualified for any material scope restrictions nor departures from GENERALLY ACCEPTED ACCOUNTING PRINCIPLES (GAAP). Also known as UNQUALIFIED OPINION. Closed-End Mutual Fund - MUTUAL FUND with a fixed number of shares outstanding that may be bought or sold. CMO - See COLLATERALIZED MORTGAGE OBLIGATION. Collateral - ASSET provided to a CREDITOR as security for a loan. Collateralized Mortgage Obligation (CMO) - SECURITY whose cash flows equal the difference between the cash flows of the collateralizing ASSETS and the collateralized obligations of a securitized TRUST. Characteristics of CMO residuals vary greatly and can be extremely complex in nature. Combined Financial Statement - FINANCIAL STATEMENT comprising the accounts of two or more entities. Comfort Letter - Letter provided by a company's independent public accountant to an underwriter when the underwriter has a DUE DILIGENCE responsibility under Section 11 of the Securities Act of 1933 regarding financial information included in an offering statement. Committee of Sponsoring Organizations of the Treadway Commission (COSO) - An alliance of five professional organizations dedicated to disseminating appropriate internal control standards. Company Level Controls - Controls that exist at the company level that have an impact on controls at the process, transaction, or application level. Comparative Financial Statement - FINANCIAL STATEMENT presentation in which the current amounts and the corresponding amounts for previous periods or dates also are shown. Compensatory Balance - Funds that a borrower must keep on deposit as required by a bank. Compilation - Presentation of financial statement data without the ACCOUNTANT'S assurance as to conformity with GENERALLY ACCEPTED ACCOUNTING PRINCIPLES (GAAP). Compilation Report - See ACCOUNTANTS' REPORT. Compliance Audit - Review of financial records to determine whether the entity is complying with specific procedures or rules. Complex Trust - A trust that is to be distinguished from a simple trust in the fact that it permits accumulation or distribution of current income during the tax year and provides for charitable contributions. Compound Interest Principles - Interest computed on principal plus interest earned in previous periods. Comprehensive Income - Change in EQUITY of a business enterprise during a period from transactions and other events and circumstances from sources not shown in the income statement. The period includes all changes in equity except those resulting from INVESTMENTS by owners and distributions to owners. Confirmation - AUDITOR'S receipt of a written or oral response from an independent third party verifying the accuracy of information requested. Conservatism - An investment strategy aimed at long-term capital appreciation with low risk; moderate; cautious; opposite of aggressive behavior; show possible losses but wait for actual profits. Concept which directs the least favorable effect on net income. Consistency - ACCOUNTING postulate which stipulates that, except as otherwise noted in the FINANCIAL STATEMENT, the same accounting policies and procedures have been followed from period to period by an organization in the preparation and presentation of its financial statements. Consolidated Financial Statements - Combined FINANCIAL STATEMENTS of a parent company and one or more of its subsidiaries as one economic unit. Constructive Receipt - A taxpayer is considered to have received the income even though the monies are not in hand, it may have been set aside or otherwise made available. An example is interest on a bank account. Contingent Liability - Potential LIABILITY arising from a past transaction or a subsequent event. Continuing Operations - Portion of a business entity expected to remain active. Continuing Professional Education (CPE) - Educational programs for CERTIFIED PUBLIC ACCOUNTANTS (CPAs) to keep informed on changes that occur within the profession. State Boards for Public Accountancy and the AMERICAN INSTITUTE OF CERTIFIED PUBLIC ACCOUNTANTS (AICPA) each have separate CPE requirements. Contra Account - ACCOUNT considered to be an offset to another account. Generally established to reduce the other account to amounts that can be realized or collected. Control Deficiency - This exists when the design or operation of a control does not allow management or employees, in the normal course of performing their assigned functions, to prevent or detect misstatements on a timely basis. Control Risk - Measure of risk that errors exceeding a tolerable amount will not be prevented or detected by an entity's internal controls. Controls Tests - Tests directed toward the design or operation of an internal control structure policy or procedure to assess its effectiveness in preventing or detecting material misstatements in a financial report. Convertible Stock - Stock that may be exchanged for other SECURITIES of the issuer. Corporation - Form of doing business pursuant to a charter granted by a state or federal government. Corporations typically are characterized by the issuance of freely transferable CAPITAL STOCK, perpetual life, centralized management, and limitation of owners' LIABILITY to the amount they invest in the business. Cost Recovery Method - METHOD OF REVENUE RECOGNITION which recognizes profits after costs are completely recovered. Generally used only when the total amount of collections is highly uncertain. In tax, the ACCOUNTING METHOD used to depreciate ASSETS. Coverdell Education Savings Account (Education IRA) - A tax exempt trust exclusively for the purpose of paying qualified higher education costs of the trusts designated beneficiary. CPA - See CERTIFIED PUBLIC ACCOUNTANT. CPE - See CONTINUING PROFESSIONAL EDUCATION. Credit Agreement - Arrangement in which one party borrows or takes possession in the present by promising to pay in the future. Creditor - Party that loans money or other ASSETS to another party. Current Asset - ASSET that one can reasonably expect to convert into cash, sell, or consume in operations within a single operating cycle, or within a year if more than one cycle is completed each year. Current Liability - Obligation whose LIQUIDATION is expected to require the use of existing resources classified as CURRENT ASSETS, or the creation of other current liabilities. Current Value - (1) Value of an ASSET at the present time as compared with the asset's HISTORICAL COST. (2) In finance, the amount determined by discounting the future revenue stream of an asset using COMPOUND INTEREST PRINCIPLES. Date of Auditors'/Accountants' Report - Last day the AUDITORS perform fieldwork and the last day of responsibility relating to significant events subsequent to the financial statement date. Debt - General name for money, notes, BONDS, goods or services which represent amounts owed. Debt Security - Document which is evidence of an obligation or LIABILITY. Debt Service Fund - Fund whose PRINCIPAL or INTEREST is set aside and accumulated to retire DEBT. Debtor - Party owing money or other ASSETS to a CREDITOR. Decedent - Individual who has died. Defalcation - To misuse or embezzle funds. Default - Failure to meet any financial obligation. Default triggers a CREDITOR'S rights and remedies identified in the agreement and under the law. Defeasance - Annulment of a contract or deed; a clause within a contract or deed that provides for annulment. Deferred Charge - Cost incurred for subsequent periods which are reflected as ASSETS. Deferred Income - Income received but not earned until all events have occurred. Deferred income is reflected as a LIABILITY. Deferred Income Taxes - ASSETS or LIABILITIES that arise from timing or measurement differences between tax and accounting principles. Deficiency in Design - This exists when a control necessary to meet the control objective is missing or an existing control is not properly designed so that even if the control operates as designed, the control objective is not always met. Deficiency in Operation - This exists when a properly designed control does not operate as designed, or when the person performing the control does not possess the necessary authority or qualifications to perform the control effectively. Deficit - Financial shortage that occurs when LIABILITIES exceed ASSETS. Defined Benefit Plan - See EMPLOYEE BENEFIT PLAN. Defined Contribution Plan - See EMPLOYEE BENEFIT PLAN. Demand Loan - Loan repayable on demand. Also known as a CALL LOAN. Dependent Care Expenses - Qualified child care expenses will allow a taxpayer this computed credit against tax. The amounts can be found on the individual forms as the limitations and computation may change each tax year. Depletion - Method of computing a deduction to ACCOUNT for a reduction in value of extractable natural resources. Deposit Method - Related to the sales of real estate, under this method the seller does not recognize any profits, does not record a note RECEIVABLE, and continues to reflect the property and related DEBT in the seller's FINANCIAL STATEMENTS, recording the buyer's initial investment and subsequent payments as a deposit. Derivatives - Financial instruments whose value varies with the value of an underlying asset (such as a stock, BOND, commodity or currency) or index such as interest rates. Financial instruments whose characteristics and value depend on the characterization of an underlying instrument or asset. Detection Risk - Risk that the AUDITOR will not detect a material misstatement. Detective Controls - These have the objective of detecting errors or fraud that have already occurred that could result in a misstatement of the financial statements. Disbursement - Payment by cash or check. Disclaimer of Opinion - Statement by an AUDITOR indicating inability to express an opinion on the fairness of the FINANCIAL STATEMENTS provided and the reason for the inability. The auditor is required to disclaim depending on the limitation in scope. Disclosure - Process of divulging accounting information so that the content of FINANCIAL STATEMENTS is understood. Discontinued Operations - Portion of a business that is planned to be or is discontinued. Discount - Reduction from the full amount of a price or DEBT. Discount Rate - Rate at which INTEREST is deducted in advance of the issuance, purchasing, selling, or lending of a financial instrument. Also, the rate used to determine the CURRENT VALUE, or present value, of an ASSET or income stream. Discounted Cash Flow - Present value of future cash estimated to be generated. Discretionary Trust - Arrangement in which the TRUSTEE has the authority to make INVESTMENT decisions and has control over investments within the framework of the TRUST instrument. Dissolution - Termination of a CORPORATION. Distribution Expense - Expense of selling, advertising, and delivery of goods and services. Distributions - Payment by a business entity to its owners of items such as cash ASSETS, stocks, or earnings. Dividends - Distribution of earnings to owners of a CORPORATION in cash, other ASSETS of the corporation, or the corporation's CAPITAL STOCK. Documentation Completion Date - A complete and final set of audit documentation should be assembled for retention as of a date not more than 45 days after the report release date. Double-Entry Bookkeeping - Method of recording financial transactions in which each transaction is entered in two or more accounts and involves two-way, self-balancing posting. Total DEBITS must equal total CREDITS. Dual Dating - Dating of the ACCCOUNTANTS' or AUDITORS' REPORT when a subsequent event disclosed in the FINANCIAL STATEMENTS occurs after completion of the field work but before issuance of the report. For example, "January 3, 19xx, except for Note x, as to which the date is March 10, 19xx." Due Date - Each governing agency and its forms scheduled reporting and most importantly payments have a required due date. It is this date that if most files timely may result in a penalty, fine, and commence interest charges. Due Diligence - (1) Procedures performed by underwriters in connection with the issuance of a SECURITIES EXCHANGE COMMISSION (SEC) registration statement. These procedures involve questions concerning the company and its business, products, competitive position, recent financial and other developments and prospects. Also performed by others in connection with acquisitions and other transactions. (2) Requirement found in ethical codes that the person governed by the ethical rules exercise professional care in conducting his or her activities. Earned Income - Wages, salaries, professional fees, and other amounts received as compensation for services rendered. Earned Income Credit - A refundable tax credit for eligible low income workers, subject to computations based on qualifying children and phase in and phase out income levels. Earnings Per Share (EPS) - Measure of performance calculated by dividing the net earnings of a company by the average number of shares outstanding during a period. Effective Tax Rate - Total income taxes expressed as a percentage of NET INCOME before taxes. EITF - See EMERGING ISSUES TASK FORCE. Emerging Issues Task Force (EITF) - Assists the FINANCIAL ACCOUNTING STANDARDS BOARD (FASB) and provides guidance on early identification of emerging issues affecting financial reporting and problems in implementing authoritative pronouncements. Employee Benefit Plan - Compensation arrangement, generally in writing, used by employers in addition to salary or wages. Some plans such as group term life insurance, medical insurance and qualified retirement plans are treated favorably under the tax law. Most common qualified retirement plans are: (1) defined benefit plans - a promise to pay participants specified benefits that are determinable and based on such factors as age, years of service, and compensation; or (2) defined contribution plans - provide an individual account for each participant and benefits based on items such as amounts contributed to the account by the employer and employee and investment experience. This type includes PROFIT-SHARING PLANS, EMPLOYEE STOCK OWNERSHIP PLANS and 401(k) PLANS. Employee Stock Ownership Plan (ESOP) - Stock bonus plan of an employer that acquires SECURITIES issued by the plan sponsor. Encumbrance - (1) MORTGAGE or other lien on the entity's ASSETS; (2) Anticipated EXPENDITURE; (3) Uncompleted or undelivered portion of a purchase commitment. Engagement Completion Document - A document whereby the AUDITOR identifies all significant findings or issues. The document should be as specific as necessary in the circumstances for a reviewer to gain a thorough understanding of the significant findings or issues. Equity - Residual INTEREST in the ASSETS of an entity that remains after deducting its LIABILITIES. Also, the amount of a business' total assets less total liabilities. Also, the third section of a BALANCE SHEET, the other two being assets and liabilities. Equity Account - ACCOUNT in the EQUITY section of the BALANCE SHEET. Includes CAPITAL STOCK, ADDITIONAL PAID IN CAPITAL and RETAINED EARNINGS. Equity Method of Accounting - Investors cost basis is adjusted up or down (in proportion to the % of stock ownership) as the investee's retained earnings fluctuation; used for long-term investments in equity securities of affiliate where holder can exert significant influence; 20% ownership or greater is arbitrarily presumed to have significant influence over the investee. Equity Securities - CAPITAL STOCK and other SECURITIES that represent ownership shares, or the legal rights to purchase or acquire CAPITAL STOCK. Error - Act that departs from what should be done; imprudent deviation, unintentional mistake or omission. Escrow - Money or property put into the custody of a third party for delivery to a GRANTEE, only after fulfillment of specified conditions. Estate Tax - Tax on the value of a DECENDENT'S taxable estate, typically defined as the decedent's ASSETS less LIABILITIES and certain expenses which may include funeral and administrative expenses. Estimated Tax - Amount of tax LIABILITY a taxpayer may expect to pay for the current tax period. Usually paid through quarterly installments. Estimation Transactions - Activities that involve management judgments or assumptions in formulating account balances in the absence of a precise means of measurement. Evidential Matter - Underlying ACCOUNTING data and other corroborating information that support the FINANCIAL STATEMENTS. Exchanges - Transfer of money, property or services in exchange for any combination of these items. Excise Tax - Tax or duty on the manufacture, sale, or consumption of commodities. Excluded Income - See EXCLUSIONS. Exclusions - Income item which is excluded from a taxpayer's gross income by the INTERNAL REVENUE CODE or an administrative action. Common exclusions include gifts, inheritances, and death proceeds paid under a life insurance contract. Also known as excluded income. Executor - Person appointed by a will to manage a DECENDENT'S estate. Exempt Organization - Organization which is generally exempt from paying federal income tax. Exempt organizations include religious organizations, charitable organizations, social clubs, and others. Exemption - Amount of a taxpayer's income that is not subject to tax. All individuals, TRUSTS, and estates qualify for an exemption unless they are claimed as a dependent on another individual's tax return. Exemptions also are granted to taxpayers for their dependents. Expatriation Tax - Individuals that loose or terminate their residency within the 10 year period immediately preceding the close of a tax year, if the termination or loss is for the sole purpose of avoiding tax. Expectation Gap - The difference in perception between the public and the CPA as a result of accounting and audit service. Expenditure - Payment, either in cash, by assuming a LIABILITY, or by surrendering ASSET. Experienced Auditor - An AUDITOR that has a reasonable understanding of audit activities and has studied the company's industry as well as the accounting and auditing issues relevant to the industry. Exploration Expenditures - Unlimited deductions are allowed for a taxpayer's expenses incurred while searching for any ore or mineral deposit (except oil or gas). Exposure Draft - Document issued by the AMERICAN INSTITUTE OF CERTIFIED PUBLIC ACCOUNTANTS (AICPA), FINANCIAL ACCOUNTING STANDARDS BOARD (FASB), GOVERNMENTAL ACCOUNTING STANDARDS BOARD (GASB) or other standards setting authorities to invite public comment before a final pronouncement is issued. Extension - Time granted by a taxing authority, such as the INTERNAL REVENUE SERVICE (IRS), a state or city, which allows the taxpayer to file tax returns later than the original due date. Extent of Tests of Control - Each year the AUDITOR must obtain sufficient evidence about whether the company's internal control over financial reporting, including the controls for all internal control components, is operating effectively. External Reporting - Reporting to stockholders and the public, as opposed to internal reporting for management's benefit. Extinguishment of Debt - To get rid of the liability by payment; to bring to an end. Extraordinary Items - Events and transactions distinguished by their unusual nature and by the infrequency of their occurrence. Extraordinary items are reported separately, less applicable income taxes, in the entity's statement of income or operations. 401(k) Plan - EMPLOYEE BENEFIT PLAN authorized by INTERNAL REVENUE CODE section 401(k), whereby an employer establishes an account for each participating employee and each participant elects to deposit a portion of his or her salary into the account. The amount deposited is not subject to income tax. This is the most common type of salary reduction plan. Face Value - Amount due at maturity from a BOND or note. Factoring - Selling a RECEIVABLE at a discounted value to a third party for cash. FASB - See FINANCIAL ACCOUNTING STANDARDS BOARD (FASB). Favorable Variance - Excess of actual REVENUE over projected revenue, or actual costs over projected costs. Fiduciary - Person who is responsible for the administration of property owned by others. Corporate management is a FIDUCIARY with respect to corporate ASSETS which are beneficially owned by the stockholders and CREDITORS. Similarly, a TRUSTEE is the fiduciary of a TRUST and partners owe fiduciary responsibility to each other and to their creditors. FIFO - See FIRST IN, FIRST OUT. Filing of Returns - Taxpayers meeting statutory requirements MUST file various returns on the prescribed forms. And they must be filed timely or the y may not be considered as filed. Financial Accounting Standards - Official promulgations, known as STATEMENTS OF FINANCIAL ACCOUNTING STANDARDS, by the FINANCIAL ACCOUNTING STANDARDS BOARD (FASB) which are part of GENERALLY ACCEPTED ACCOUNTING PRINCIPLES (GAAP) in the United States. Financial Accounting Standards Board (FASB) - Independent, private, non-governmental authority for the establishment of ACCOUNTING principles in the United States. Financial Institution - Organization engaged in any of the many aspects of finance including commercial banks, thrift institutions, investment banks, securities brokers and dealers, credit unions, investment companies, insurance companies, and REAL ESTATE INVESTMENT TRUSTS. Financial Statements - Presentation of financial data including BALANCE SHEETS, INCOME STATEMENTS and STATEMENTS OF CASH FLOW, or any supporting statement that is intended to communicate an entity's financial position at a point in time and its results of operations for a period then ended. First in, First out (FIFO) - ACCOUNTING method of valuing INVENTORY under which the costs of the first goods acquired are the first costs charged to expense. Commonly known as FIFO. Fiscal Year - Period of 12 consecutive months chosen by an entity as its ACCOUNTING period which may or may not be a calendar year. Fixed Asset - Any tangible ASSET with a life of more than one year used in an entity's operations. Floor - Term used when discussing INVENTORIES. Inventory cannot be valued lower than the "floor" which is the net realizable value of the inventory less an allowance for a normal profit margin. Forecast - Prospective FINANCIAL STATEMENTS that are an entity's expected financial position, results of operations, and cash flows. Foreclosure - Seizure of COLLATERAL by a CREDITOR when DEFAULT under a loan agreement occurs. Foreign Corporation - A corporation which is not organized under the laws of ones territories or states. Taxing of foreign corporations depends on whether the corporation has Nexus or effectively connected income in that state. Foreign Currency Translation - Restating foreign currency in equivalent dollars; unrealized gains or losses are postponed and carried in Stockholder's Equity until the foreign operation is substantially liquidated. Foreign Tax Credit - A U.S. taxpayer that pays or accrues income tax to a foreign country may elect to credit or deduct these taxes in a determinable us dollar amount. This is usually done on the annual individual tax return and there is s specific form provided for this. Form 8-K - SEC filing which is a filing that must be made on the occurrence of an event that is deemed to be of significant importance to SECURITY holders. Form 10-K - SEC filing which is the ANNUAL REPORT due 90 days after the registrant's BALANCE SHEET date. Form 10-Q - SEC filing which is the quarterly report due 45 days after each of the first three quarter.ends of each fiscal year. Franchise - Legal arrangement whereby the owner of a trade name, franchisor, contracts with a party that wants to use the name on a non-exclusive basis to sell goods or services, franchisee. Frequently, the franchise agreement grants strict supervisory powers to the franchisor over the franchisee which, nevertheless, is an independent business. Fraud - Willful misrepresentation by one person of a fact inflicting damage on another person. Future Contract - Transferable agreement to deliver or receive during a specific future month a standardized amount of a commodity. GAAP - See GENERALLY ACCEPTED ACCOUNTING PRINCIPLES. GAAS - See GENERALLY ACCEPTED AUDITING STANDARDS. Gain - Excess of REVENUES received over costs relating to a specific transaction. GAO - See GOVERNMENT ACCOUNTABILITY OFFICE. GASB - See GOVERNMENTAL ACCOUNTING STANDARDS BOARD. General Ledger - Collection of all ASSET, LIABILITY, owners EQUITY, REVENUE, and expense accounts. Generally Accepted Auditing Standards (GAAS) - Standards set by the AMERICAN INSTITUTE OF CERTIFIED PUBLIC ACCOUNTANTS (AICPA) which concern the AUDITOR'S professional qualities and judgment in the performance of his or her AUDIT and in the actual report. Gift - A valid transfer of property from one taxpayer to another without consideration or compensation. A gift may be subject to the unified estate and gift transfer tax. Going Concern - Assumption that a business can remain in operation long enough for all of its current plans to be carried out. Going Public - Activities that relate to offering a private company's shares to the general investing public including registering with the SEC. Governing Documents - Official legal documents that dictate how an entity is operated. The governing documents of a CORPORATION include ARTICLES OF INCORPORATION and BYLAWS; a PARTNERSHIP includes the partnership agreement; a TRUST includes the trust agreement or trust indenture; and an LLC includes the ARTICLES OF ORGANIZATION and OPERATING AGREEMENT. Government Accountability Office (GAO) - Accounting and auditing office of the United States government. An independent agency that reviews federal financial transactions and reports directly to Congress. Governmental Accounting Standards Board (GASB) - Group that has authority to establish standards of financial reporting for all units of state and local government. Grantee - Person to whom property is transferred. Grantor - (1) Person who transfers property. (2) Person who creates a trust. Greenmail - Any amount a corporation pays to a shareholder to directly or indirectly buy back its stock. Guaranty - Legal arrangement involving a promise by one person to perform the obligations of a second person to a third person, in the event the second person fails to perform. Head of Household - An individual entitled to special tax rates that fall midway between single rates and married filing joint rates, if they fit the qualifying profile. Hedge - A financial term for a specific type of commodities planning and trading. Historical cost - Original cost of an asset to an entity. Holding Period - The time in which a taxpayer acquires property and the date on which it is sold. Hope Scholarship Credit - A maximum allowable credit of $1,500 per student for each of the first 2 years of post-secondary education. It is allowable after all additional requirements are met. Improvement - EXPENDITURE directed to a particular ASSET to improve its performance or useful life. Imputed Interest - If no interest or an unrealistic amount of interest is charged in a salve involving certain kinds of deferred payments, then the transaction will be treated as if the realistic rate of interest had been used. The difference between the realistic interest and the interest actually used is referred to as imputed interest. Income Statement - Summary of the effect of REVENUES and expenses over a period of time. Independence Standard Board (ISB) - This is the private sector standard-setting body governing the independence of AUDITORs from their public company clients. It came about from discussions between the AICPA, other accounting representatives and the SEC. Individual Retirement Account (IRA) - An IRA is a personal savings plan that allows an individual to make cash contributions per year dependent on the individual's adjusted gross income and participation in an employer's retirement plan. Under a traditional IRA these earnings are not taxable until the time of withdrawal from the plan. Inheritance - As distinguished from a BEQUEST or devise, an inheritance is property acquired through laws of descent and distribution from a person who dies without leaving a will. The value of property inherited id excluded from a taxpayers gross income, but if the property inherited produces income it is included in gross income. A taxpayer's basis in inherited property is the fair market value at the time of death. Initial Public Offering (IPO) - When a private company goes public for the first time. Inquiry - A procedure that consists of seeking information, both financial and non financial, of knowledgeable persons throughout the company. It is used extensively throughout the audit and often is complementary to performing other procedures. Inquiries may range from formal written inquiries to informal oral inquiries. Insolvent - When an entity's LIABILITIES exceed its ASSETS. Installment Method - Tax ACCOUNTING method of reporting GAIN on the sale of an ASSET exchanged for a RECEIVABLE. In general, the gain is reported as the note is paid off. Interest - Payment for the use or forbearance of money. Interim Financial Statements - FINANCIAL STATEMENTS that report the operations of an entity for less than one year. Internal Audit - AUDIT performed within an entity by its staff rather than an independent certified public accountant. Internal Control - Process designed to provide reasonable assurance regarding achievement of various management objectives such as the reliability of financial reports. 1. Pertain to the maintenance of records that accurately and fairly reflect the transactions and dispositions of the assets of the company. 2. Provide reasonable assurance that transactions are recorded as necessary to permit preparation of financial statements in accordance with GAAP and that receipts and expenditures are being made only in accordance with authorizations of management and directors of the company. 3. Provide reasonable assurance regarding prevention or timely detection of unauthorized acquisition, use or disposition of the company's assets that could have a material effect on the financial statements. Internal Rate of Return - Method that determines the discount rate at which the present value of the future CASH FLOWS will exactly equal investment outlay. Internal Revenue Code - Collection of tax rules of the federal government. Also referred to as Title 26 of the United States Code. Internal Revenue Service (IRS) - Federal agency that administers the INTERNAL REVENUE CODE. The IRS is part of the United States Treasury Department. International Accounting Standards Committee, the (IASC) - is an independent private sector body, formed in 1973, with the objective of harmonizing the accounting principles which are used in businesses and other organizations for financial reporting around the world. Its members are 143 professional accounting bodies in 104 countries. Internet/World Wide Net - The Internet is the unregulate wild west show of computer networks connected together throughout the world. The World Wide Web or WWW, is part of the Internet. Inventory - Tangible property held for sale, or materials used in a production process to make a product. Investment - EXPENDITURE used to purchase goods or services that could produce a return to the investor. Involuntary Conversions - This is a conversion of property where it is in whole or part destroyed, stolen, seized, requisitioned or condemned (or where there is a threat or imminence of requisition or condemnation). IRS - See INTERNAL REVENUE SERVICE. Issuer - This term means an issuer, the securities of which are registered under Section 12 of the Securities Exchange Act of 1934, or that is required to file reports under Section 15(d) of that Act, or that files or has filed a registration statement with the SEC that has not yet become effective under the Securities Act of 1933 and that it has not withdrawn. Jeopardy - If the IRS believes that collection of tax appears to be in jeopardy (danger of being uncollected), it may immediately assess and collect such tax. The intermediate steps are bypassed. Joint Return - A return filed by married taxpayers or surviving spouses. Joint Venture - When two or more persons or organizations gather CAPITAL to provide a product or service. Often carried out as a PARTNERSHIP. Journal - Any book containing original entries of daily financial transactions. Junk Bonds - DEBT SECURITIES issued by companies with higher than normal credit risk. Considered "non-investment grade" bonds, these SECURITIES ordinarily yield a higher rate of interest to compensate for the additional risk. Keogh Plan - Also known as an HR 10, this is a qualified retirement plan for self employed who do not incorporate their business. If qualifications are met the taxpayer may receive a deduction for contributions made. 3. An individual who owns more than 1 percent of the employer and compensation greater than $150,000. Key Person Insurance - Business-owned life insurance contract typically on the lives of principal officers that normally provides for guaranteed death benefits to the company and the accumulation of a cash surrender value. Kiting - Writing checks against a bank account with insufficient funds to cover them, hoping that the bank will receive deposits before the checks arrive for clearance. Last in, First out (LIFO) - ACCOUNTING method of valuing inventory under which the costs of the last goods acquired are the first costs charged to expense. Commonly known as LIFO. Lease - Conveyance of land, buildings, equipment or other ASSETS from one person (LESSOR) to another (LESSEE) for a specific period of time for monetary or other consideration, usually in the form of rent. Leasehold - Property INTEREST a LESSEE owns in the leased property. Ledger - Any book of accounts containing the summaries of debit and credit entries. Lessee - Person or entity that has the right to use property under the terms of a LEASE. Lessor - Owner of property, the temporary use of which is transferred to another (LESSEE) under the terms of a LEASE. Letter of Credit - Conditional bank commitment issued on behalf of a customer to pay a third party in accordance with certain terms and conditions. The two primary types are commercial letters of credit and standby letters of credit. Leveraged Buy Out - Acquisition of a controlling INTEREST in a company in a transaction financed by the issuance of DEBT instruments by the acquired entity. Leveraged Lease - Transaction under which the LESSOR borrows funds to acquire property which is leased to a third party. The property and lease rentals are security for the LESSOR'S indebtedness. Liability - DEBTS or obligations owed by one entity (DEBTOR) to another entity (CREDITOR) payable in money, goods, or services. Lifetime Learning Credit - This allows a credit for 20 percent of qualified tuition and fees paid by the taxpayer with respect to one or more students for any year that the HOPE SHCOLARSHIP CREDIT is not claimed. LIFO - See LAST IN, FIRST OUT. Limited Liability Partnership (LLP) - GENERAL PARTNERSHIP which, via registration with an appropriate state authority, is able to enshroud all its partners in limited liability. Rules governing LLPs vary significantly from state to state. Limited Partnership - PARTNERSHIP in which one or more partners, but not all, have limited liability to creditors of the partnership. Liquid Assets - Cash, cash equivalents, and marketable SECURITIES. Liquidation - Winding up an activity by distributing its ASSETS to the appropriate parties and settling its DEBTS. Litigation Support/Dispute Resolution - A service that CPAs often provide to attorneys - e.g., expert testimony about the value of a business or other asset, forensic accounting (a partner stealing from his other partners, or a spouse understating his income in a matrimonial action). The lawyer hires the CPA to do the investigation and determine the amount of money stolen or understated. LLC - See LIMITED LIABILITY COMPANY. LLP - See LIMITED LIABILITY PARTNERSHIP. Long-Term Debt - DEBT with a maturity of more than one year from the current date. Lower of Cost or Market - Valuing ASSETS for financial reporting purposes. Ordinarily, "cost" is the purchase price of the asset and "market" refers to its current replacement cost. GENERALLY ACCEPTED ACCOUNTING PRINCIPLES (GAAP) requires that certain assets (e.g., INVENTORIES) be carried at the lower of cost or market. Management Accounting - Reporting designed to assist management in decision-making, planning, and control. Also known as Managerial Accounting. Management Discussion and Analysis (MD&A) - SEC requirement in financial reporting for an explanation by management of significant changes in operations, ASSETS, and LIQUIDITY. Management's Report - Management is required to include in its annual report its assessment of the effectiveness of the company's internal control over financial reporting in addition to its audited financial statements as of the end of the most recent fiscal year. Managerial Accounting - See MANAGEMENT ACCOUNTING. Margin - Excess of selling price over the unit cost. Mark-to-Market - Method of valuing ASSETS that results in adjustment of an asset's carrying amount to its market value. Marketable Securities - Stocks and other negotiable instruments which can be easily bought and sold on either listed exchanges or over-the-counter markets. 3. Legally married but separated and living apart but not legally divorced. Marriage is determined as of the last day of the tax year. Matching Principle - A fundamental concept of basic accounting. In any one given accounting period, you should try to match the revenue you are reporting with the expenses it took to generate that revenue in the same time period, or over the periods in which you will be receiving benefits from that expenditure. A simple example is depreciation expense. If you buy a building that will last for many years, you don't write off the cost of that building all at once. Instead, you take depreciation deductions over the building's estimated useful life. Thus, you've "matched" the expense, or cost, of the building with the benefits it produces, over the course of the years it will be in service. Material Weakness - A significant deficiency or combination of significant deficiencies that results in more than a remote likelihood that a material misstatement of the annual or interim financial statements will not be prevented or detected. MD&A - See MANAGEMENT DISCUSSION AND ANALYSIS. Monetary Items - Definite fixed amounts stated in terms of dollars, either by law or by contract agreement. Mortgage - Legal instrument evidencing a security interest in ASSETS, usually real estate.Mortgages serve as COLLATERAL for PROMISSORY NOTES. Municipal Bond - BOND issued by a government or public body, the INTEREST on which is typically exempt from federal taxation. Matching Principle - A fundamental rule f baxic accounting. In any one given accounting period, you should try to match the revenue you are reporting with the expenses it took. NASBA - See NATIONAL ASSOCIATION OF STATE BOARDS OF ACCOUNTANCY. National Association of State Boards of Accountancy - serves as a forum for the 54 State Boards of Accountancy, which administer the uniform CPA examination, license Certified Public Accountants and regulate the practice of public accountancy in the United States. Negative Assurance - Report issued by an ACCOUNTANT based on limited procedures that states that nothing has come to the accountant's attention to indicate that the financial information is not fairly presented. Negligence - The omission to do something which a reasonable man, guided by those ordinary considerations which ordinarily regulate human affairs, would do, or the doing of something which a reasonable and prudent man would not do. Negligence is the failure to use such care as a reasonably prudent and careful person would use under similar circumstances; it is the doing of some act which a person of ordinary prudence would not have done under similar circumstances or failure to do what a person of ordinary prudence would have done under similar circumstances. The term refers only to that legal delinquency which results whenever a man fails to exhibit the care which he ought to exhibit, whether it be slight, ordinary, or great. It is characterized chiefly by inadvertence, thoughtlessness, inattention, and the like, while "wantonness" or "recklessness" is characterized by willfulness. The law of negligence is founded on reasonable conduct or reasonable care under all circumstances of particular care. Doctrine of negligence rests on duty of every person to exercise due care in his conduct toward others from which injury may result. Net Assets - Excess of the value of SECURITIES owned, cash, receivables, and other ASSETS over the LIABILITIES of the company. Net Lease - In addition to the rental payment, the LESSEE assumes all property charges such as taxes, insurance, and maintenance. Net Sales - Sales at gross invoice amounts less any adjustments for returns, allowances, or discounts taken. Net Worth - Similar to EQUITY, the excess of ASSETS over LIABILITIES. Non-for-Profit Organization/Tax-Exempt Organization - An incorporated organization which exists for educational or charitable purposes, and from which its shareholders or trustees do not benefit financially. Also called not-for-profit organization. Nonresident Alien - Any citizen that is not a resident or citizen of the United States. Income of such individuals is subject to taxation if it is effectively connected with a United States trade or business. Non Routine Transactions - Activities that occur only periodically, the data involved are generally not part of the routine flow of transactions. No-Par Stock - Stock authorized to be issued but for which no PAR VALUE is set in the ARTICLES OF INCORPORATION. A STATED VALUE is set by the BOARD OF DIRECTORS on the issuance of this type of stock. Notional - Value assigned to ASSETS or LIABILITIES that is not based on cost or market (e.g., the value of a service not yet rendered). Objectivity - Emphasizing or expressing the nature of reality as it is apart from personal reflection or feelings; independence of mind. Obligations - Any amount which may require payment by an entity at a future time. OCBOA - See OTHER COMPREHENSIVE BASIS OF ACCOUNTING. OPEB - See OTHER POST-RETIREMENT EMPLOYEE BENEFIT. Open-End Mutual Fund - MUTUAL FUND that does not have a fixed number of shares outstanding, offers new shares to the public, and buys back outstanding shares at market value. Operating Agreement - Agreement, usually a written document, that sets out the rules by which a LIMITED LIABILITY COMPANY (LLC) is to be operated. 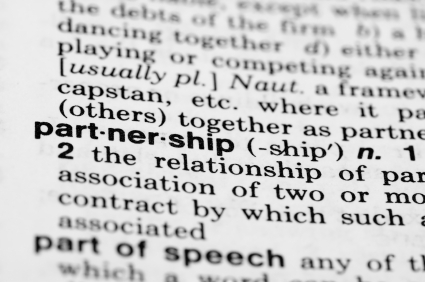 It is the LLC equivalent of corporate BYLAWS or a PARTNERSHIP agreement. Operating Cycle - Period of time between the acquisition of goods and services involved in the manufacturing process and the final cash realization resulting from sales and subsequent collections. Option - Right to buy or sell something at a specified price during a specified time period. Ordinary Income - One of two classes of income (the other being CAPITAL GAINS) taxed under the INTERNAL REVENUE CODE. Historically, ordinary income is taxed at a higher rate than capital gains. Organization Expenditures - The costs of organizing a trade or business or for profit activity before it begins active business. A taxpayer may elect to amortize such expenses for a tern no less than 60 months. If the election is not made then the expenses are not deductible and may only be recovered when the business ceases operation or is sold. Other Comprehensive Basis of Accounting (OCBOA) - Consistent accounting basis other than GENERALLY ACCEPTED ACCOUNTING PRINCIPLES (GAAP) used for financial reporting. Examples include an INCOME TAX BASIS or a CASH BASIS. Other Post-Retirement Employee Benefit (OPEB) - All post-retirement benefits other than pensions, provided by employers to employees. Paid in Capital - Portion of the stockholders' EQUITY which was paid in by the stockholders, as opposed to CAPITAL arising from profitable operations. Parent Company - Company that has a controlling interest in the COMMON STOCK of another. Par Value - Amount per share set in the ARTICLES OF INCORPORATION of a CORPORATION to be entered in the CAPITAL STOCKS account where it is left permanently and signifies a cushion of EQUITY capital for the protection of CREDITORS. Passive Activity Loss - LOSS generated from activities involved in the conduct of a trade or business in which the taxpayer does not materially participate. Passive Income - Includes income derived from such sources as dividends, interest, royalties, rents, amounts received from personal service contracts, and income received as a beneficiary of an estate or trust. Patronage Dividends - These dividends are amounts paid by a cooperative to its members and customers based on the quantity or value of business conducted with or for the members during the tax year. PCAOB - Public Corporation Accounting Oversight Board, a private-sector, non-profit corporation, created by the Sarbanes-Oxley Act of 2002, to oversee the AUDITORs of public companies in order to protect the interests of investors and further the public interest in the preparation of informative, fair, and independent audit reports. Peer Review - Process by which an accounting firm's practice is evaluated for compliance with professional standards. The objective is achieved through the performance of an independent review by one's peers. Penalty - The various government codes contain numerous provisions which impose penalties on a taxpayer (any type of taxpayer) for failure to perform a specific act or omitting vital information on a return. Perpetual Inventory - System that requires a continuous record of all receipts and withdrawals of each item of INVENTORY. Personal Financial Planning - Process for arriving at a comprehensive plan to solve an individual's personal, business, and financial problems and concerns. Personal Financial Specialist (PFS) - CERTIFIED PUBLIC ACCOUNTANT who specializes in PERSONAL FINANCIAL PLANNING and completes a series of requirements that include education, experience, ethics and an exam. Personal Financial Statements - FINANCIAL STATEMENTS prepared for an individual or family to show financial status. Personal Property - Movable property that is not affixed to the land (REAL PROPERTY). Personal property includes tangible items such as cash, cars and computers, as well as intangible items, such as royalties, patents and copyrights. Phantom Income - Income reported on a TAX BASIS for which no cash or financial benefit is realized. Pledged Asset - ASSET placed in a TRUST and used as COLLATERAL for a DEBT. Pooling of Interest - Used to account for the acquisition of another company when the acquiring company exchanges its voting COMMON STOCK for the voting common stock of the acquired company when certain criteria are met. Post-Retirement Benefits - PENSIONS, health care, life insurance and other benefits that are provided by an employer to retirees, their dependents, or survivors. Preferred Stock - Type of CAPITAL STOCK that carries certain preferences over COMMON STOCK, such as a prior claim on DIVIDENDS and ASSETS. Premium - (1) Excess amount paid for a BOND over its face amount. (2) In insurance, the cost of specified coverage for a designated period of time. Prepaid Expense - Cost incurred to acquire economically useful goods or services that are expected to be consumed in the revenue-earning process within the operating cycle. Present Value - CURRENT VALUE of a given future cash flow stream, discounted at a given rate. Preventive Controls - These have the objective of preventing errors or fraud from occurring in the first place that could result in a misstatement of the financial statements. Prime Rate - Rate of interest charged by major U.S. banks on loans made to their preferred customers. Principal - Face amount of a SECURITY, exclusive of any PREMIUM or INTEREST. The basis for INTEREST computations. Private Placement - Sales of SECURITIES not involving a PUBLIC OFFERING and exempt from registration pursuant to certain EXEMPTIONS. Privilege - A right or immunity granted as a peculiar benefit advantage. Privity - An interest in a transaction, contract or legal action to which one is not a party, arising out of a relationship to one of the parties. Pro Forma - Presentation of financial information that gives effect to an assumed event (e.g., MERGER). Projection - Prospective FINANCIAL STATEMENTS that include one or more hypothetical assumptions. Pro Rata - Distribution of an expense, fund, or DIVIDEND proportionate with ownership. Prospective Financial Information (forecast and projection) - Forecast: Prospective financial statements that present, to the best of the responsible party's knowledge and belief, an entity's expected financial position, results of operations, and changes in financial position. A financial forecast is based on the responsible party's assumptions reflecting conditions it expects to exist and the course of action it expects to take. Projection: Prospective financial statements that present, to the best of the responsible party's knowledge and belief, given one or more hypothetical assumptions, an entity's expected financial position, results of operations, and changes in financial position. Prospectus - Major part of the registration statement filed with the SECURITIES AND EXCHANGE COMMISSION (SEC) for PUBLIC OFFERINGS. A prospectus generally describes SECURITIES or partnership interests to be issued and sold. Proxy - Document authorizing someone other than the shareholder to exercise the right to vote the stock owned by the shareholder. Public Offering - Offering shares to the public. Generally done through SEC filings. Public Oversight Board (POB) - The POB is an independent oversight board, composed of public members, which monitors and evaluates peer reviews conducted by the SEC Practice Section (SECPS) of the AICPA's Division for CPA Firms as well as other activities of the SECPS. Purchase Method of Accounting - ACCOUNTING for a MERGER by adding the acquired company's ASSETS at the price paid for them to the acquiring company's assets. Push-Down Accounting - Method of ACCOUNTING in which the values that arise from an acquisition are transferred or "pushed down" to the accounts of an acquired company. R&D - See RESEARCH AND DEVELOPMENT. Ratio Analysis - Comparison of actual or projected data for a particular company to other data for that company or industry in order to analyze trends or relationships. Real Estate Investment Trust (REIT) - Investor-owned TRUST which invests in real estate and, instead of paying income tax on its income, reports to each of its owners his or her pro rata share of its income for inclusion on their income tax returns. This unique trust arrangement is specifically provided for in the INTERNAL REVENUE CODE. Real Estate Mortgage Investment Conduit (REMIC) - An entity that holds a fixed pool of mortgages and issues multiple classes of interest s in itself to investors. A qualified REMIC is generally taxed like a partnership, unless it takes contributions after its start up day or engages in a prohibited transaction. Real Property - Land and improvements, including buildings and PERSONAL PROPERTY, that is permanently attached to the land or customarily transferred with the land. Reasonable Assurance - Management's assessment of the effectiveness of internal control over financial reporting is expressed at the level of reasonable assurance. It includes the understanding that there is a remote likelihood that material misstatements will not be prevented or detected on a timely basis. It is a high level of assurance. Recapitalization - An internal reorganization of a corporation including a rearrangement of the capital structure by changing the kind of stock or the number of shares outstanding or issuing stock instead of bonds. It is distinguished from most other types of reorganization because it involves only one corporation and is usually accomplished by the surrender by shareholders of their securities for other stock or securities of a different type. Receivables - Amounts of money due from customers or other DEBTORS. Reconciliation - Comparison of two numbers to demonstrate the basis for the difference between them. Redemption Value - Price to be paid by an ENTITY to retire its BONDS or PREFERRED STOCK. Red Herring - "Pre-release" PROSPECTUS offering. An announcement of a future issuance of SECURITIES, given restricted circulation during the waiting period of 20 days or other specified period between the filing of a registration statement with the SEC and the effective date of the statement. A red herring is not an offer to sell or the solicitation of an offer to buy. Refinancing Agreement - Arrangement to provide funding to replace existing financing, the most common being a refinance of a home MORTGAGE. Regulated Investment Company (RIC) - Commonly called a MUTUAL FUND, this is a domestic corporation that acts as an investment agent for its shareholders by typically investing in government and corporate securities and distributing the DIVIDENDS and INTEREST income earned from such investments. In order to be considered a RIC a CORPORATION must make an irrevocable election tax election in order to be treated as one. Reinsurance - Process by which an insurance company obtains insurance on its insurance claims with other insurers in order to spread the risk. REIT - See REAL ESTATE INVESTMENT TRUST. Related Party Transaction - Business or other transaction between persons who do not have an arm's-length relationship (e.g., a relationship with independent, competing interests). The most common is between family members or controlled entities. For tax purposes, these types of transactions are generally subject to a greater level of scrutiny. Relevant Assertions - Assertions that have a meaningful bearing on whether the account is fairly stated. Reorganization - This is a change in the businesses capital arrangements. If for a CORPORATION there are seven statutory options for reorganization that would cause the corporation and shareholders to not recognize any GAIN or LOSS on the exchange of stock. Repairs - EXPENDITURES made in order to keep property in good condition but that do not appreciably prolong the life or increase the value of the property. Replacements - EXPENDITURES for making good or whole the portions of property that have deteriorated through use or have been destroyed through accident. Report Release Date - The date the company's financial statements are issued. Repos - See REPURCHASE AGREEMENT. Repurchase Agreement (Repos) - Agreement whereby an institution purchases SECURITIES under a stipulation that the seller will repurchase the securities within a certain time period at a certain price. Research and Development (R&D) - Research is a planned activity aimed at discovery of new knowledge with the hope of developing new or improved products and services. Development is the translation of research findings into a plan or design of new or improved products and services. Reserve - ACCOUNT used to earmark a portion of EQUITY or fund balance to indicate that it is not available for expenditure. An obsolete term in the United States. More commonly used in Europe. Resident Alien - This is an individual that is not a citizen, but who has a residence in the United States. They are taxed on all of their INCOME worldwide in the same manner a citizen of the United States is. Restricted Assets - Cash or other ASSETS whose use in whole or in part is restricted for specific purposes bound by virtue of contracted agreements. Restructuring - Reorganization within an entity. Restructuring may occur in the form of changing the components of CAPITAL, renegotiating the terms of DEBT agreements, etc. Retained Earnings - Accumulated undistributed earnings of a company retained for future needs or for future distribution to its owners. Return on Investment (ROI) - Ratio measure of the profits achieved by a firm through its basic operations. An indicator of management's general effectiveness and efficiency. The simplest version is the ratio of NET INCOME to total ASSETS. Revenue Recognition - Method of determining whether or not income has met the conditions of being earned and realized or is realizable. Revenues - Sales of products, merchandise, and services; and earnings from INTEREST, DIVIDEND, rents. Review Report - See ACCOUNTANTS' REPORT. Right to Setoff - DEBTOR'S legal right, to discharge all or a portion of the DEBT owed to another party by applying against the debt an amount that the other party owes to the debtor. Risk Management - Process of identifying and monitoring business risks in a manner that offers a risk/return relationship that is acceptable to an entity's operating philosophy. ROI - See RETURN ON INVESTMENT. Routine Transactions - Recurring financial activities reflected in the accounting records in the normal course of business. S Corporation - An S Corporation is a corporation which, under the Internal Revenue Code, is generally not subject to federal income taxes. Instead, taxable income of the corporation is passed through to its stockholders in a manner similar to that of a partnership. Safe Harbor Rule - Concept in statutes and regulations whereby a person who meets listed requirements will be preserved from adverse legal action. Frequently, safe harbors are used where a legal requirement is somewhat ambiguous and carries a risk of punishment for an unintended violation. Sale-Leaseback Transaction - Sale of property by a seller who simultaneously leases the property back from the purchaser. Salvage Value - Selling price assigned to retired FIXED ASSETS or merchandise unsalable through usual channels. Sarbanes-Oxley (SOX) - The Sarbanes-Oxley Act was signed into law on 30 July 2002 by President Bush. The Act is designed to oversee the financial reporting landscape for finance professionals. Its purpose is to review legislative audit requirements and to protect investors by improving the accuracy and reliability of corporate disclosures. The act covers issues such as establishing a public company accounting oversight board, auditor independence, corporate responsibility and enhanced financial disclosure. It also significantly tightens accountability standards for directors and officers, auditors, securities analysts and legal counsel. The law is named after Senator Paul Sarbanes and Representative Michael G. Oxley. SAS - See STATEMENTS ON AUDITING STANDARDS. SEC Filings - Financial and informational DISCLOSURES required by the SEC in order to comply with certain sections of the Securities Act of 1933 and the Securities and Exchange Act of 1934. Some of the more common filings that publicly owned companies must submit are the FORM 10-K, FORM 10-Q and FORM 8-K.
SEC Registration Statement - DISCLOSURE document that must be filed with the SEC in connection with a public offering of SECURITIES, unless the offering is exempt. Securities and Exchange Commission (SEC) - Agency authorized by the United States Congress to regulate the financial reporting practices of most public corporations. Security - Any kind of transferable certificate of ownership including EQUITY SECURITIES and DEBT SECURITIES. Securitization -Source of financing whereby an entity's ASSETS (typically mortgage loans, lease obligations or other types of RECEIVABLES) are placed in a special purpose vehicle that issues SECURITIES collateralized by such assets. Security Interest - Legal interest of one person in the property of another to assure performance of a second person under a contract. Self Employment Tax - Most individuals that are in business for themselves, such as SOLE PROPRIETORS, PARTNERS or independent contractor, are subject to self employment taxes. The taxes provide coverage for the self employed individual for social security (OASDI) and Medicare benefits (HI) similar to the taxes withheld by employers from wages it pays the employees. Settlement Method - Method of ACCOUNTING for SECURITIES whereby transactions are recorded on the date the securities settle by the delivery or receipt of securities and the receipt or payment of cash. SFAS - See STATEMENT OF FINANCIAL ACCOUNTING STANDARDS. Short Sale - Sale of an item before it is purchased. A person entering into a short sale believes the price of the item will decline between the date of the short sale and the date he or she must purchase the item to deliver the item under the terms of the short sale. Short-Term - Current; ordinarily due within one year. Significant Accounts - An account is significant if there is more than a remote likelihood that the account could contain misstatements that individually or when aggregated with others, could have a material effect on the financial statements, considering the risks of both overstatement and understatement. Significant Deficiency - Acontrol deficiency or combination of control deficiencies, that adversely affects the company's ability to initiate, authorize, record, process or report external financial data reliably in accordance with GAAP such that there is more than a remote likelihood that a misstatement of the company's annual or interim financial statements that is more than inconsequential will not be prevented or detected. Single Audit Act - The Single Audit Act of 1984 and the Single Audit Act Amendments of 1996 establish requirements for audits of states, local governments, and nonprofit organizations that administer federal financial assistance programs above a certain threshold. Simple Plans - An employer may adopt a simplified retirement plan called a SIMPLE Plan (Savings incentive match plan for employees) if it has fewer than 100 employees that received at least $5,000 in compensation in the preceding year. Simple Trust - This type of TRUST is required to distribute all its income currently, whether or not the TRUSTEE actually does so, and it has no provision in the trust instrument for charitable contributions. It is to be distinguished from a COMPLEX TRUST. A trust may be a simple trust in one year and a complex trust in another year. In the year in which the trust distributes its corpus, it loses its classification as a simple trust. Small Business Stock - Noncorporate investors may exclude up to 50 percent of the GAIN they realize on the disposition of qualified small business stock issued after Aug. 10, 1993, and held for more than five years. The amount of gain eligible for the 50 percent exclusion is subject to per-issuer limits. In order to qualify for the EXCLUSION, the CORPORATION issuing the stock must be a C Corporation (but excluding certain investment corporations) and it must use at least 80 percent of its assets in active conduct of one or more qualified trade or businesses. In addition, its gross assets cannot exceed $50 million. Sole Proprietorship - See PROPRIETORSHIP. Special Assessment - Charge made by a local government for the cost of an improvement or service. It is usually levied on those who will benefit from the service. Special Report - Special report is a term applied to AUDITORs' reports issued in connection with various types of financial presentations, including: Financial statements that are prepared in conformity with a comprehensive basis of accounting other than generally accepted accounting principles. Specified elements, accounts or items of a financial statement. Compliance with aspects of contractual agreements or regulatory requirements related to audited financial statements. Financial presentations to comply with contractual agreements or regulatory provisions. Financial information presented in prescribed forms or schedules that require a prescribed form of auditor's reports. Spinoff - Transfer of all, or a portion of, a subsidiary's stock or other ASSETS to the stockholders of its parent company on a PRO RATA basis. Spot Market - Market for buying and selling commodities or financial instruments for immediate delivery and payment based on the settlement conventions of the particular market. Spread - Difference between two prices, usually a buying and selling price. SSARS - See STATEMENTS ON STANDARDS FOR ACCOUNTING AND REVIEW SERVICES. Standard Deduction - Individual taxpayers who do not itemize their deductions are entitled to a standard deduction amount by which to reduce ADJUSTED GROSS INCOME in arriving at taxable income. The amount of the standard deduction varies by the type of the taxpayer and changes each year. A schedule of standard deductions is easily found in the instructions for the federal form 1040. Each state may also use a standard deduction format, but the amounts and computations differ from the federal and from state to state. Certain taxpayers may not be entitled to use the standard deduction. An example of this would be a married filing separate taxpayer. If one taxpayer itemizes then the other is required to by law even if the married filing separate taxpayer is unknowing of what is included on the spouses separate return. A reason for this might be the prevention of pooling and duplication of deductions. Start-up Costs - (1) Costs, excluding acquisition costs, incurred to bring a new unit into production. (2) Costs incurred to begin a business. Stated Value - Per share amount set by the BOARD OF DIRECTORS to be placed in the CAPITAL STOCK account upon issuance of NO-PAR VALUE. Statement of Cash Flows - A statement of cash flows is one of the basic financial statements that is required as part of a complete set of financial statements prepared in conformity with generally accepted accounting principles. It categorizes net cash provided or used during a period as operating, investing and financing activities, and reconciles beginning and ending cash and cash equivalents. Statement of Financial Accounting Standards (SFAS) - Statements issued by the FINANCIAL ACCOUNTING STANDARDS BOARD (FASB). Statement of Financial Condition - Basic FINANCIAL STATEMENT, usually accompanied by appropriate DISCLOSURES that describe the basis of ACCOUNTING used in its preparation and presentation as of a specified date, the entity's ASSETS, LIABILITIES and the EQUITY of its owners. Also known as BALANCE SHEET. Statements on Auditing Standards (SAS) - Statements issued by the Accounting Standards Board of the AMERICAN INSTITUTE OF CERTIFIED PUBLIC ACCOUNTANTS (AICPA). Statute of Limitations - This sets out the period within which actions may be brought upon claims or within which rights may be enforced. As it pertains to tax returns, the statute of limitations is generally three years from the date a return is due or filed. Stepped Up Basis - Generally, the basis of property acquired by INHERITENCE, BEQUEST or device from a DECENDANT is the FAIR MARKET VALUE of the property on the date of the decendant's death. Thus if the fair market value is more than the decedent's basis, a taxpayers basis in the property received is stepped-up. Stock Compensation Plan - FRINGE BENEFIT that gives employees the option to purchase the employer's stock at a specified price during a specified period. Stock Option - Right to purchase or sell a specified number of shares of stock at specified prices and times. a) Grant date - The date at which an employer and an employee reach a mutual understanding of the key terms and conditions of a share-based payment award. The employer becomes contingently obligated on the grant date to issue equity instruments or transfer assets to an employee who renders the requisite service. Awards made under an arrangement that is subject to shareholder approval are not deemed to be granted until that approval is obtained unless approval is essentially a formality (or perfunctory), for example, if management and the members of the board of directors control enough votes to approve the arrangement. Similarly, individual awards that are subject to approval by the board of directors, management, or both are not deemed to be granted until all such approvals are obtained. The grant date for an award of equity instruments is the date that an employee begins to benefit from, or be adversely affected by, subsequent changes in the price of the employer’s equity shares. c) Fair value - The amount at which an asset (or liability) could be bought (or incurred) or sold (or settled) in a current transaction between willing parties, that is, other than in a forced or liquidation sale. e) Out of the Money option – Option granted with an exercise price above the market price. i) Exercise price is based on a lower share price prior to the option grant date. The practice of marking a document with a date that precedes the actual date. ii) Example – Option is approved by the board permits the stock to be priced based upon the lowest price in the past 30 days- permits options to be in the money when issued. Options are suppose to be issued at option price that is neutral at time of issuance. i) Terms might involve option to be issued with price to be determined based upon the lowest price as of the issue date or for the next 30 days after the issuance. Grant date does not occur until the conclusion of the 30 day period when the price is known. To determine the price the company needs to look back at the stock price for the last 30 days to determine what the exercise price should be. This is another version of backdating. i) Discounted options – options that have an exercise price that is less than fair value on the date of grant. iv) Potential false Section 302 certifications – Principal and financial executives are required to sign certifications in quarterly and annual reports certifying that among other things that the report filed with the SEC does not include any false statements of amaterial fact or state material facts necessary in order to make the disclosures not misleading. Holder is required to select a fixed exercise date no later than December 31, 2006 or be subject to immediate taxation on vesting , a 20 percent penalty and an interest assessment. (2) May cause the loss of tax deductions under Section 162 (m), the deduction that public companies take for compensation to chief executive officer and next four highest compensated officers is limited to $1 million each. The deduction for stock options in not usually limited. However, discounted options do not qualify as performance based compensation and therefore the deduction that the company would get may be partially or completely lost. In addition discounted stock options do not qualify for Incentive Stock option (ISO) treatment. (ISO there is no payroll tax or withholding requirements for ISO’s) – If company mistakenly treats backdated stock as an ISO the company my fail to meet payroll tax and income tax withholding requirements. (4) The date the compensation committee or board took action to grant an award if theat date is different than the actual grant date. (5) Also if the exercise price of an option grant differs from the closing market price per share on the grant date companies must include a description of the method for determining the exercise price. Stock Rights - Stock rights are rights issued to stockholders of a CORPORATION that entitle them to purchase new shares of stock in the corporation for a stated price that is often substantially less than the FAIR MARKET VALUE of the stock. These rights may be exercised by paying the stated price, may be sold, or may be allowed to expire or lapse. Stock rights are generally treated as stock DIVIDENDS. Stock Split - Increase in the number of shares of a company's COMMON STOCK outstanding that result from the issuance of additional shares proportionally to existing stockholders without additional capital investment. The PAR VALUE of each share is reduced proportionally. Strike Price - Price of a financial instrument at which conversion or exercise occurs. 2. Maintains as his home a household that is the principal place of abode during the entire TAX YEAR for a child for whom a dependency exemption may be claimed. Swap - Financial contract in which two parties agree to exchange net streams of payments over a specified period. The payments are usually determined by applying different indices (e.g., interest rates, foreign exchange rates, equity indices) to a NOTIONAL amount. The term notional is used because swap contracts generally do not involve exchanges of PRINCIPAL. Tax - Charge levied by a governmental unit on income, consumption, wealth, or other basis. Tax Court - The U.S. Tax Court is a legislative court functioning to adjudicate controversies between taxpayers and the IRS arising out of deficiencies assessed by the IRS for INCOME, GIFT, ESTATE, windfall profit and certain EXCISE TAXES. It has no jurisdiction over other taxes such as employment taxes. Various sales taxes and certain excise taxes. Tax Credit for the Elderly and Disabled - Taxpayers age 65 or older or those under 65 who are retired with permanent and total disability are eligible to claim a credit to reduce the amount of their tax liability. It is designed primarily to benefit those individuals who receive small amounts of retirement INCOME. Each taxpayer is allocated an initial base amount based on his or her filing status determining the credit. The base amount is then reduced by the amount of nontaxable income, or is phased out for taxpayers whose ADJUSTED GROSS INCOME exceeds certain levels. Tax Lien - ENCUMBRANCE placed on property as security for unpaid taxes. Tax Shelter - Arrangement in which allowable tax deductions or EXCLUSIONS result in the deferral of tax on INCOME that would otherwise be payable currently. Tax Year - The period used to compute a taxpayer's TAXABLE INCOME is tax year. It is an annual period that is either a calendar year , FISCAL YEAR or fractional part of a year for which the return is made. Taxable Income - Taxable income is generally equal to a taxpayer's ADJUSTED GROSS INCOME during the TAX YEAR less any allowable EXEMPTIONS and deductions. Taxpayer Identification Number (TIN) - Any individual or other taxable entity that is required to file a return, statement or any other document with the IRS must indicate his (or its) taxpayer identification number. For an individual, the social security number is used, and if you do not have a social security number, the IRS will assign you a TIN. A federal or employer ID number is assigned to other types of entities and will use that as their TIN. Tenancy-in-Common - Co-ownership of property. In a valid tenancy-in-common, a deceased co-owner's title passes to his or her heirs without being included in the estate of the deceased co-owner. Term Loan - Loan for a specified time period. Timing of Tests of Control - The AUDITOR must perform tests of controls over a period of time that is adequate to determine whether, as of the date specified in management's report, the controls necessary for achieving the objectives of the control criteria are operating effectively. Total Gain - Excess of the proceeds realized on the sale of either INVENTORY or noninventory goods. Trade Date - Date when a SECURITY transaction is entered into, to be settled on at a later date. Transactions involving financial instruments are generally accounted for on the trade date. Transferred Basis - A transferred basis is the basis of property in the hands of a transferor, donor or GRANTOR. In this sense a prior owner's basis in the property is transferred to the taxpayer. Transferred basis occurs in the following transactions: GIFTS, transfers in trusts, certain transfers to controlled CORPORATIONS, contributions to PARTNERSHIPS and LIQUIDATING distributions from a corporation. 2. The transferor was INSOLVENT at the time or was rendered insolvent by that transfer or related series of transfers. However the insolvency requirement does not apply to GIFT taxes. The transferee is only liable to the extent of the value of the property received from the transferor. Thus, transferee liability merely provides a means for the IRS to recover any assets the transferor-taxpayer attempts to transfer to avoid paying taxes. Treasury Bill - Short-term obligation that bears no INTEREST and is sold at a discount. Treasury Bond - Long-term obligation that matures more than five years from issuance and bears INTEREST. Treasury Note - Intermediate-term obligation that matures one to five years from issuance and bears INTEREST. Treasury Stock - Stock reacquired by the issuing company. It may be held indefinitely, retired, issued upon exercise of STOCK OPTIONS or resold. Troubled Debt Restructuring - Agreement between DEBTOR and CREDITOR which amends the terms of a DEBT that has little chance of being paid in accordance with its contractual terms. The agreement may involve the transfer of ASSETS in full or partial satisfaction of the debt. Trust - Ancient legal practice where one person (the GRANTOR) transfers the legal title to an ASSET, called the principal or corpus, to another person (the TRUSTEE), with specific instructions about how the corpus is to be managed and disposed. Trustee - Person who is given legal title to, and management authority over, the property placed in a trust. Unaudited Financial Statements - FINANCIAL STATEMENTS which have not undergone a detailed AUDIT examination by an independent CERTIFIED PUBLIC ACCOUNTANT (CPA). Unearned Income - Payments received for services which have not yet been performed. Uniform Accountancy Act (UAA) - The UAA is the proposal for a new regulatory framework for the public accounting profession which was developed jointly by the American Institute of Certified Public Accountants (AICPA) and the National Association of State Boards of Accountancy (NASBA). The new framework is intended to enhance interstate reciprocity and practice across state lines by CPAs, meet the future needs of the profession, respond to the marketplace and protect the public that the profession serves. Uniform Capitalization Rules - These are a set of rules intended to be a single comprehensive set of rules to govern the capitalization, or inclusion in INVENTORY of direct and indirect cost of producing, acquiring and holding property. Under the rules, taxpayers are required to capitalize the direct costs and an allocable portion of the indirect costs attributable to real and tangible personal property produced or acquired for resale. The obvious effect of the uniform capitalization rules is that taxpayers may not take current deductions for these costs but instead must be recovered through DEPRECIATION or AMORTIZATION. Unqualified Opinion - AUDIT opinion not qualified for any material scope restrictions nor departures from GENERALLY ACCEPTED ACCOUNTING PRINCIPLES (GAAP). The AUDITOR may issue an unqualified opinion only when there are no identified material weaknesses and when there have been no restrictions on the scope of the auditor's work. Also known as CLEAN OPINION. Use of Professional Skepticism when Evaluating the Results of Testing - The AUDITOR must conduct the audit of internal control over financial reporting and the audit of the financial statements with professional skepticism, which is an attitude that includes a questioning mind and a critical assessment of audit evidence. Valuation Allowance - Method of lowering or raising an object's CURRENT VALUE by adjusting its acquisition cost to reflect its market value by use of a CONTRA ACCOUNT. Variable Rate Loan - Loan whose interest rate changes over its life in relation to the level of an index. Variance - Deviation or difference between an estimated value and the actual value. Venture Capital - Investment company whose primary objective is capital growth. New ASSETS invested largely in companies that are developing new ideas, products, or processes. Vesting - Point at which certain benefits available to an employee are no longer contingent on the employee continuing to work for the employer. Walkthroughs - The most effective means for an AUDITOR to confirm his understanding how internal control over financial reporting is designed and operates to evaluate and test its effectiveness. It includes making inquiries of and observing the personnel who actually perform the controls; reviewing documents that are used in, and that result from, the application of the controls; and comparing supporting documentation to the accounting records. In a walkthrough, the auditor traces a transaction from origination through the company's information systems to the point where it is reflected in the company's financial reports. 1. Confirm the auditor's understanding of the process flow of transactions. 2. Confirm the auditor's understanding of the design of controls identified for all five components of internal control over financial reporting, including those related to the prevention or detection of fraud. 3. Confirm that the auditor's understanding of the process is complete by determining whether all points in the process at which misstatements related to each relevant financial statement assertion that could occur have been identified. 4. Evaluate the effectiveness of the design of controls. 5. Confirm whether controls have been placed in operation. Warrant - Option to purchase additional SECURITIES from the issuer. Wash Sale - A wash sale occurs if stock or securities are sold at a LOSS and the seller acquires substantially identical stock or SECURITIES 30 days before or after the sale. Stock or securities for this purpose includes contracts or operations to acquire or sell stock or securities. Losses incurred in a wash sale cannot be deducted. It does not matter if the total 60 day period begins in one tax year and ends in another. However, the disallowed loss is not permanently lost. Instead, the basis in the newly acquired stock or securities is the same basis as of the stock or securities sold, adjusted by the difference in price of the stock or securities. Withholding - Amount withheld or deducted from employee salaries by the employer and paid by the employer, for the employee, to the proper authority. Withholding Allowance - Each taxpayer is allowed to claim a withholding allowance, which exempts a certain amount of wages from being subject to WITHHOLDING. The allowance is designed to prevent too much taxes being withheld from a taxpayers wages and a person can compute this by completing form W-4 and submitting it to their employer. Working Papers - (1) Records kept by the AUDITOR of the procedures applied, the tests performed, the information obtained, and the pertinent conclusions reached in the course of the AUDIT. (2) Any records developed by a CERTIFIED PUBLIC ACCOUNTANT (CPA) during an audit. Work in Progress - INVENTORY account consisting of partially completed goods awaiting completion and transfer to finished inventory. Wrap-Around Mortgage - Second MORTGAGE which conveniently expands the total amount of borrowing by the mortgagor without disturbing the original mortgage. Yellow Book - Written by the GENERAL ACCOUNTABILITY OFFICE, the yellow book sets forth standards to be followed in auditing the FINANCIAL STATEMENTS of entities that receive federal financial assistance. "Yellow Book" is the name given to "Government Auditing Standards" issued by the Comptroller General of the United States which contains standards for audits of government organizations, programs, activities and functions, and of government assistance received by contractors, nonprofit organizations and other nongovernment organizations. Yield - Return on an INVESTMENT an investor receives from DIVIDENDS or INTEREST expressed as a percentage of the cost of the SECURITY. Yield to Maturity - Rate of return on a SECURITY to its maturity, giving effect to the stated interest rate, accrual of discount, or AMORTIZATION of PREMIUM. Zero-Coupon Bond - BOND on which the holder receives only one payment at maturity which includes both PRINCIPAL and INTEREST from issuance to maturity.